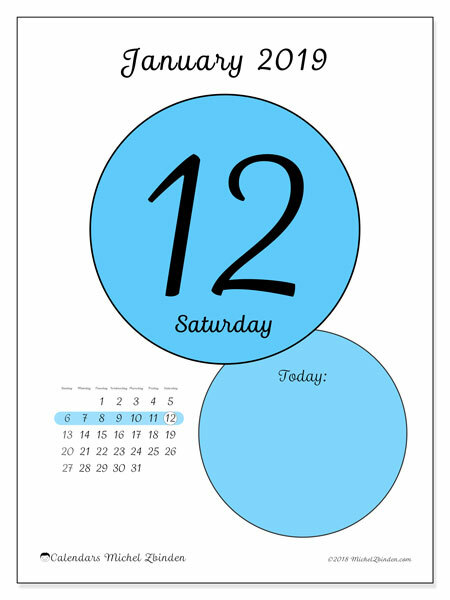 Thank you for choosing this calendar for January 2019! 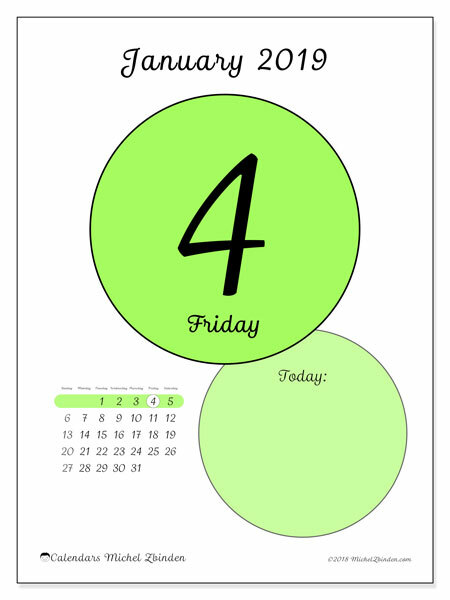 be used or posted at home, at the office, at school, etc. 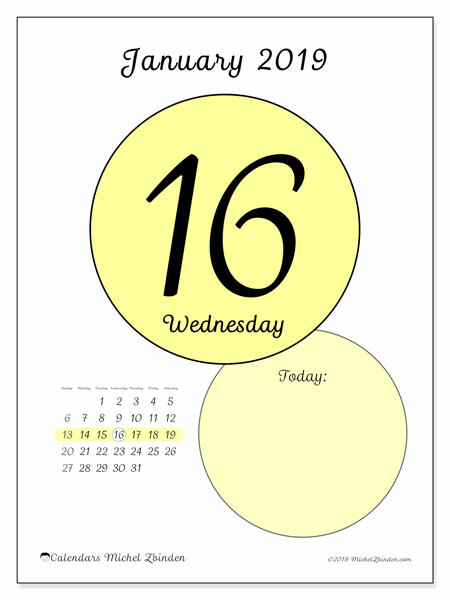 To use as: agenda, schedule, almanac, ephemeris, etc. 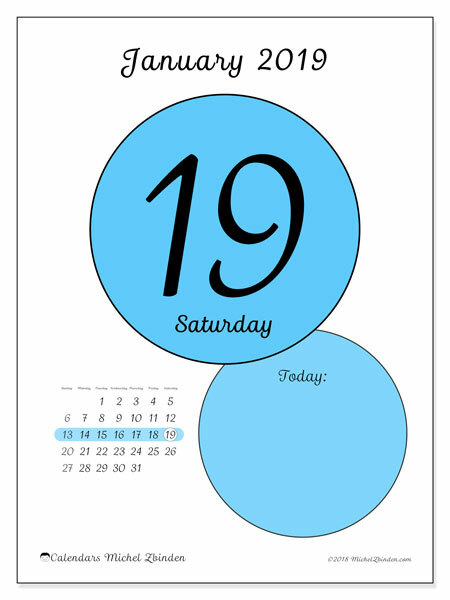 Print the calendar, in A4 format (21 x 29,7 cm). 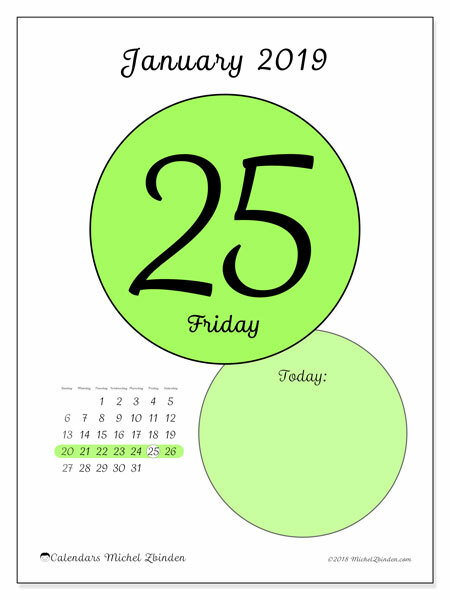 This format is the most common in the world. 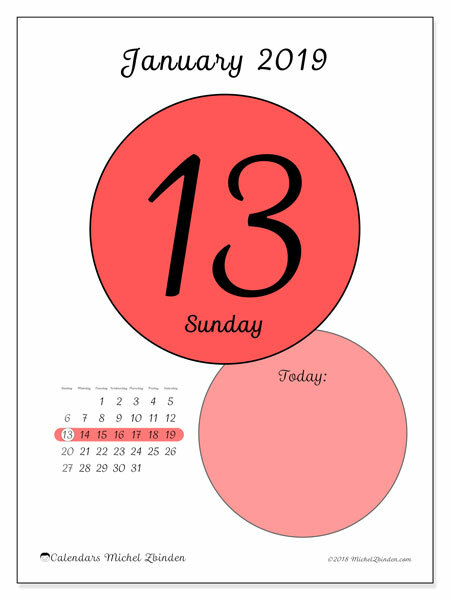 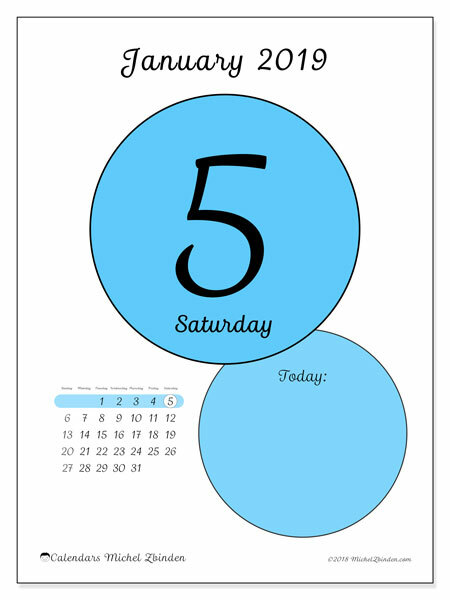 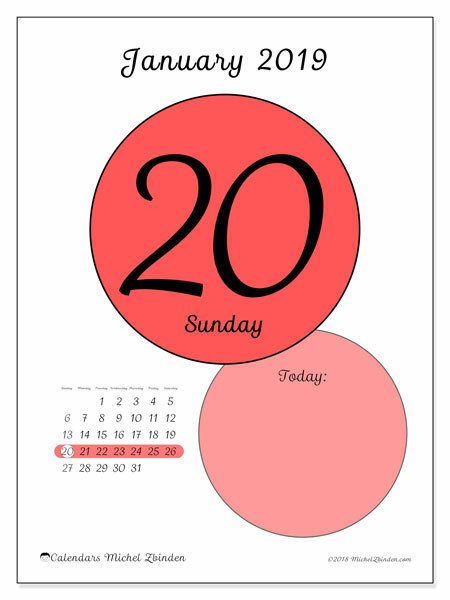 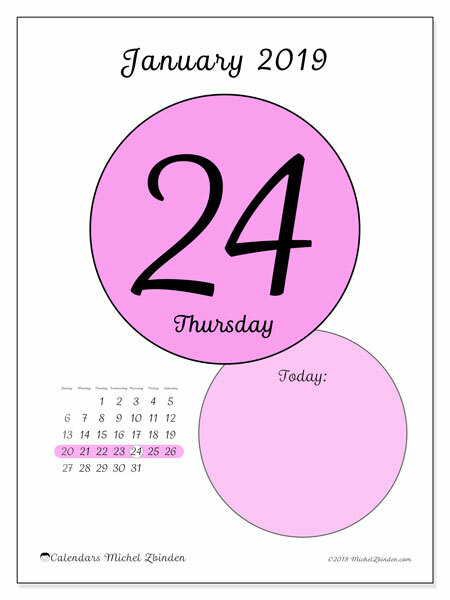 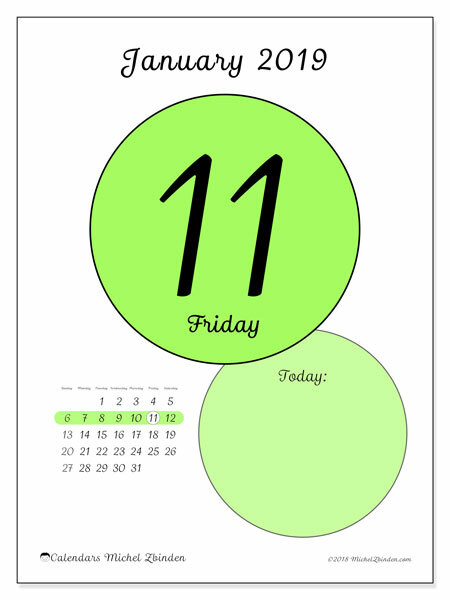 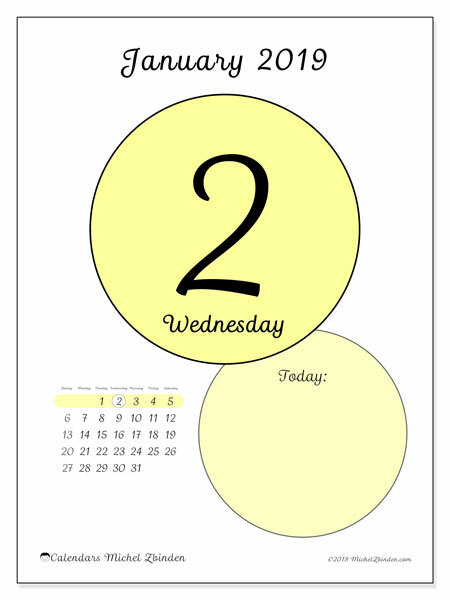 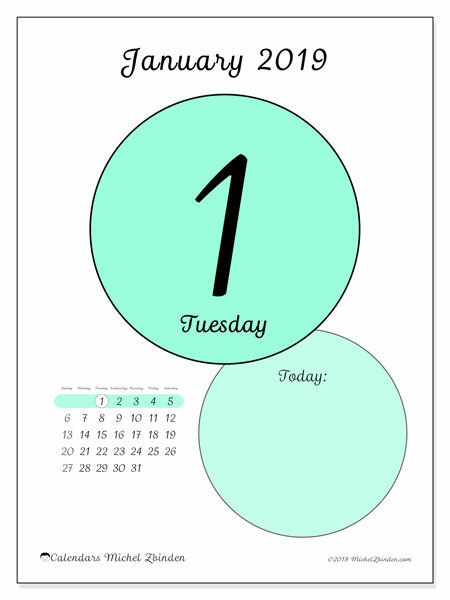 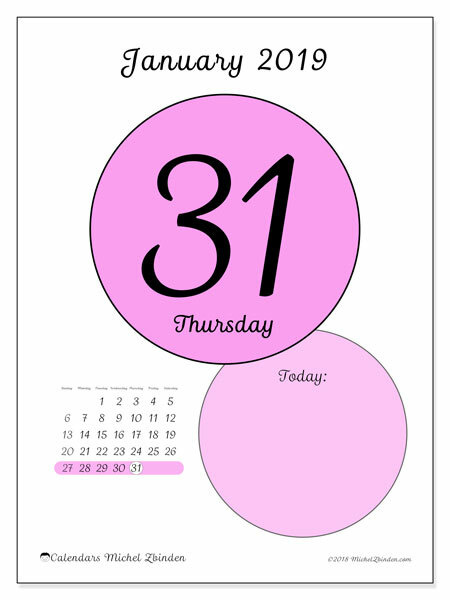 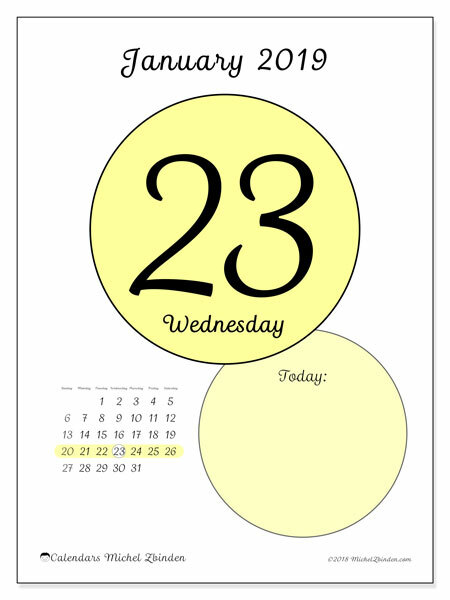 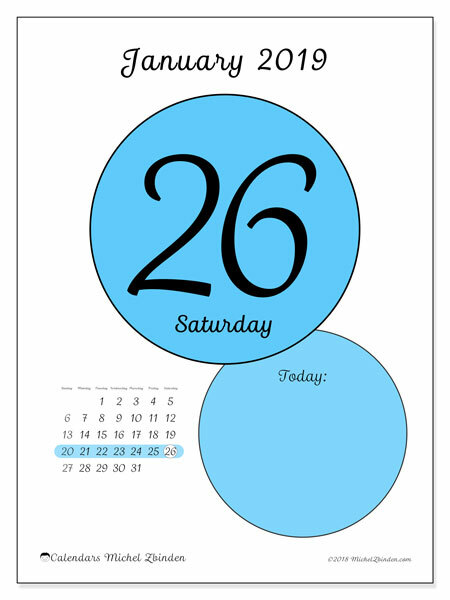 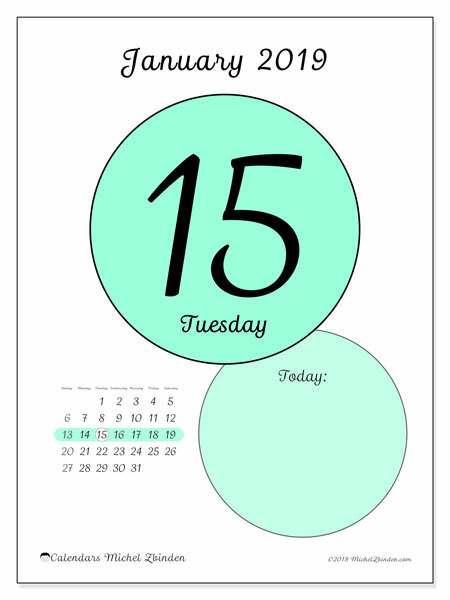 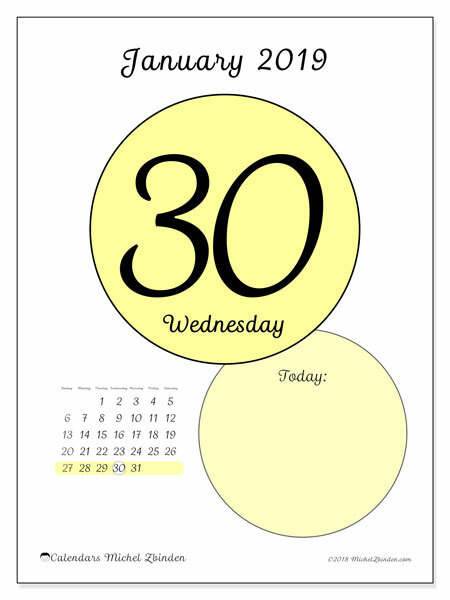 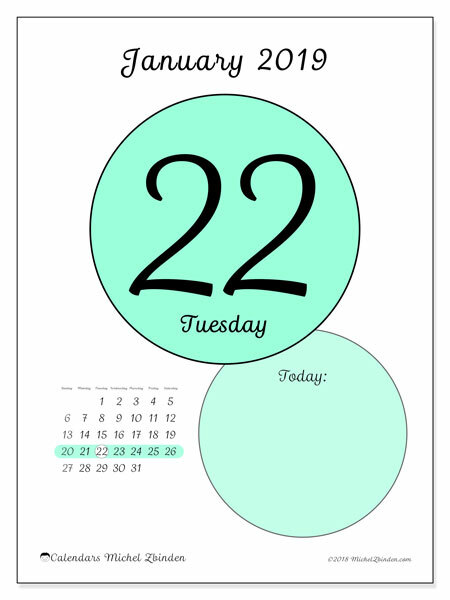 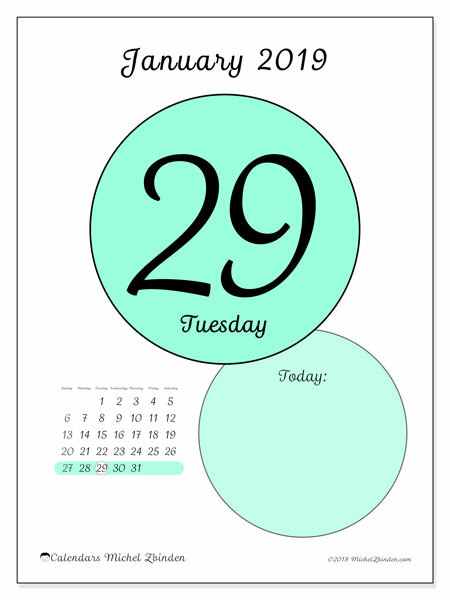 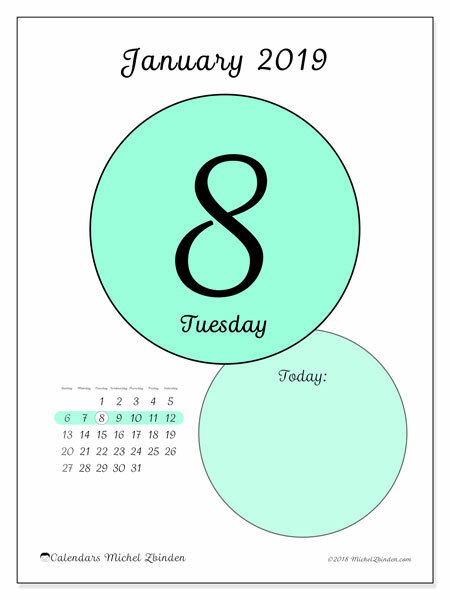 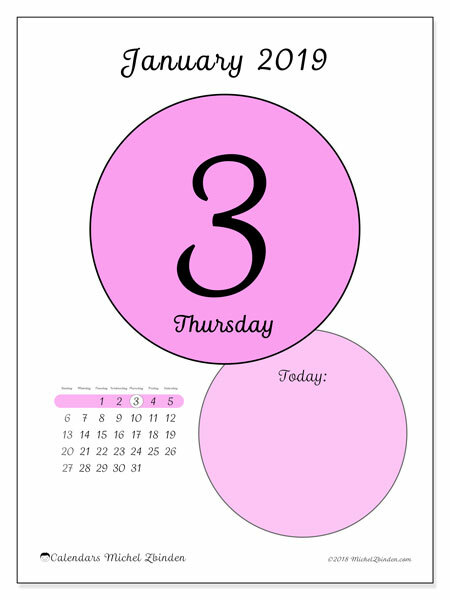 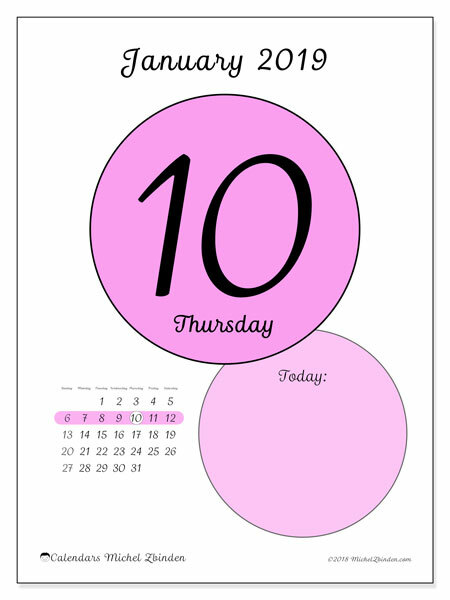 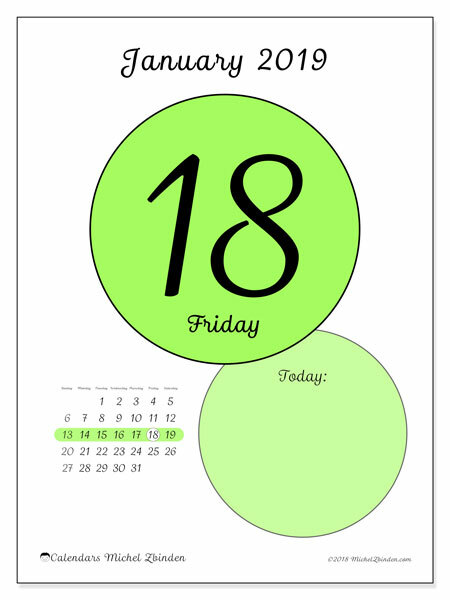 Print the calendar, in Letter size (8½ x 11 in). 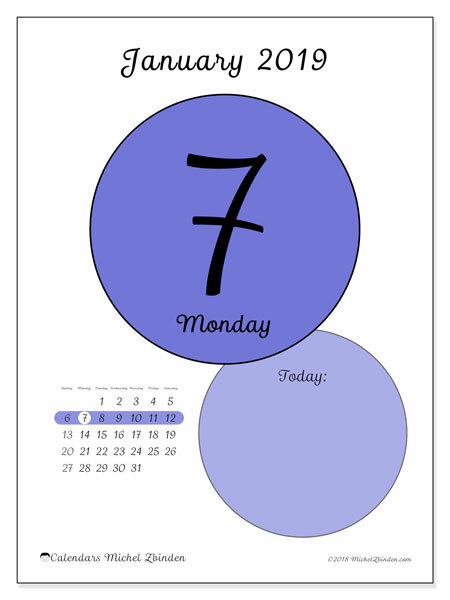 Format used primarily in the United States, Canada and Mexico.